14 Bands that will Rule 2014! Addicted to music? Come and get your fix! Enter your email address to follow Music Junkie Press and receive notifications of new posts by email. New Video released from supergroup, Revolution Saints will have you begging for more! We are moving to a new server… Don’t miss any news!! John 5 announces tour in February! Snow White Smile killed it at Ace of Spades for their last show of 2014! SnoCore Tour announces dates for coast to coast tour with Flyleaf, Adelita’s Way and more! Talk about a supergroup with some great pedigree. Four individually talented musicians coming together and forming Devil City Angels to rock your world. 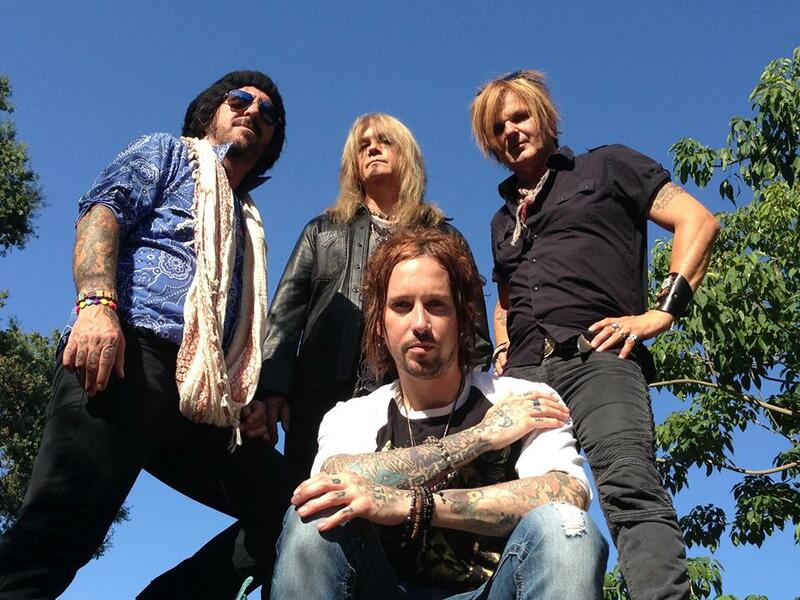 Devil City Angels features Rikki Rockett (Poison) on drums, Tracii Guns ( L.A. Guns) on guitar, Eric Brittingham (Cinderella) on bass and Brandon Gibbs (Cheap Thrill) on vocals and guitar. They are ready to deliver some straight up rock and roll that you have to hear. They have just announced the completion of their new website at www.thedevilcityangels.com. They also have added three more new song to their Reverbnation page. I am hooked on their latest track, No Angels. It is a great song that will have you in anticipation of more new music! You can stream the songs and make sure to pick up All My People as a download. Download of their song insures that 50% of sales goes to the Fender Music Foundation charity. Click the link below to check out No Angels. I love their classic rock vibe and the vocals just grab you with the catch melody. I am definitely ready for Devil City Angels. They have also announced several upcoming shows. Check the dates and see if they will be coming to a venue near you. We are excited and look forward to the new music. We will keep you posted and make sure to visit their social media sites to stay up to date on their latest news. Also be sure to head over to their merchandise page so you can pick up a cool Devil City Angels t-shirt and show your support for this great band which we will definitely be hearing a lot from. ATTN BAY AREA: CROBOT returns to the DNA Lounge on September 8th!